Area: 32.4 square miles (20,755 acres), 11% of Lower Sugar River Watershed. 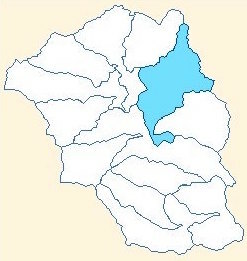 Taylor Creek is the second largest subwatershed. The largest, OK Creek-Sugar Creek subwatershed, has about 3,000 more acres. Water Quality: Both Taylor Creek and Swan Creek were placed on the proposed impaired streams list for 2016. Taylor Creek originates south of Cty. Rd B and just west of Knutson Rd. Tributaries are Swan Creek, entering near Keesey Road and Willow Creek, entering near Smith Road. Willow Creek drains its own subwatershed, and enters Taylor Creek where the borders of the two subwatersheds meet. Taylor, Swan and Willow Creek have been extensively ditched and straightened. That and agricultural nonpoint source pollution have impacted the habitat in the streams. Beaver dams in Taylor and Willow Creeks slow and warm the water. Swan Creek receives effluent from Orfordville’s sewage treatment plant. Taylor Creek and Swan Creek both are included on the 2016 impaired streams list. In these streams, the total phosphorus sample data exceed 2016 WisCALM listing criteria for the Fish and Aquatic Life use (phosphorus > 0.075 mg/L); however, available biological data do not indicate impairment (i.e. no macroinvertebrate or fish Index of Biotic Integrity (IBI) scored in the "poor" condition category. Tested again in the 2018 listing cycle the streams still exceeded the phosphorus limit of 0.075 mg/L. The Natural Resources Conservation Service produced a Rapid Watershed Report of the Sugar River Watershed in 2008. While this does not include the WRAS survey data, it provides a valuable look at the watershed. A Water Action Volunteer (mt) while collecting water samples from Taylor and Swan Creeks in 2015 at Keesey Rd noticed that a small unnamed creek one mile east from Cty T on Keesey always ran clear even after significant rainfall. This was in contrast to the aforementioned creeks which were always very muddy looking in comparison. What is happening here? Several factors come into play. Both Taylor and Swan Creeks are much longer in length and run through agriculture landscapes of row crops and cow pastures where much of the land bordering their stream banks are inadequately buffered resulting in soil runoff. The unnamed creek is quite short and from its source, a wooded 10 acre, inaccessible public land parcel, the land adjacent the stream's banks is extensively buffered with native vegetation. This extensive buffering traps soil particles and greatly slows down soil runoff into the creek. Go take a look and see for yourself. Go after a big rain. Taylor Creek is 0.9 mile, unnamed creek is one mile and Swan Creek is 1.9 miles from Cty T on Keesey Rd. This exercise will show how important adequate buffering is needed adjacent to stream banks to slow down soil runoff into our surface waters. The creeks in this subwatershed provide warm water fishing. Small mouth bass, northern pike and catfish migrate a short distance up Taylor Creek from the Sugar River. The lower 5 miles of Swan Creek support warm water sport fishing. Pheasants are hunted in public hunting areas. 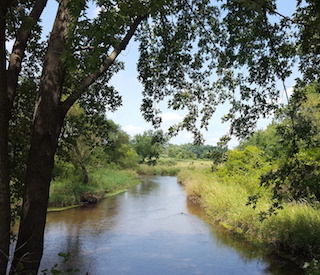 Swenson Wet Prairie State Natural Area: From Smith Road to where it empties into the Sugar River, Taylor Creek borders the Swenson Wet Prairie State Natural Area. This 40-acre flat floodplain is an example of wet-mesic prairie, sedge meadow and low river savanna. Several state-threatened species of birds, cerulean warbler (Dendroica cerulea) and Bell's vireo (Vireo bellii), can be found here in the summer. 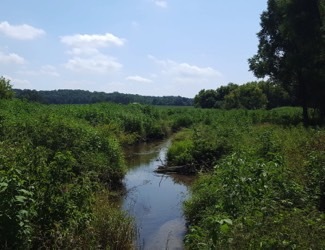 This Natural Area is part of the Avon Bottoms Wildlife Area. Bird watching is popular in this area. Walking and biking are possibilities as a segment of the 24 mile long Sugar River State Trail runs through the extreme western edge of this subwatershed just north of Brodhead. Trail access is available in multiple locations throughout the length of the trail, but in this subwatershed is on Decatur Road. One of the largest native plant nurseries in the country is located in the sandy soils on the eastern bank of Taylor Creek, growing hundreds of native prairie, woodland, and wetland plant species used in restoration projects throughout the region. Much of the area was settled by European immigrants from Norway, England, and Scotland, who cleared land and started farms. Currently, there is an Amish community in the Spring Valley Township area. 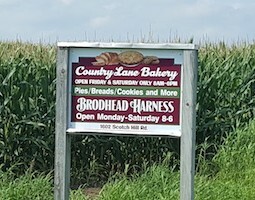 Signs advertising Amish run businesses dot the countryside. For details about the historic origins of the City of Brodhead, visit the Learn More section of the Decatur Lake - Sugar Creek Subwatershed page. For a printable PDF map of Taylor Creek Subwatershed click here.